If there is a new and more effective way of doing things we are going to get our creative minds to work to make it happen. At QMotion it is more than just developing a window solution, it is about a lifestyle solution. In constant pursuit of true perfection, we strive for a better way of doing things. Our mission is for our customers to always come first. OMotion is the only automated window treatment company in the market offering a patented manual override feature, allowing our products to be operated by hand, remote or a smart device – an industry exclusive. 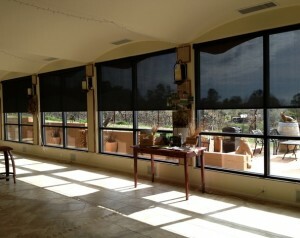 Our roller shade bracketing is slim and unobtrusive. This makes our motorized systems more attractive, but also reduces the side light gaps to a minimum of 1/2″ on each side. The smallest in the industry.